Below are some of my recent favorites of what to eat at Disney World. I love going to Walt Disney World. It is such a magical place. 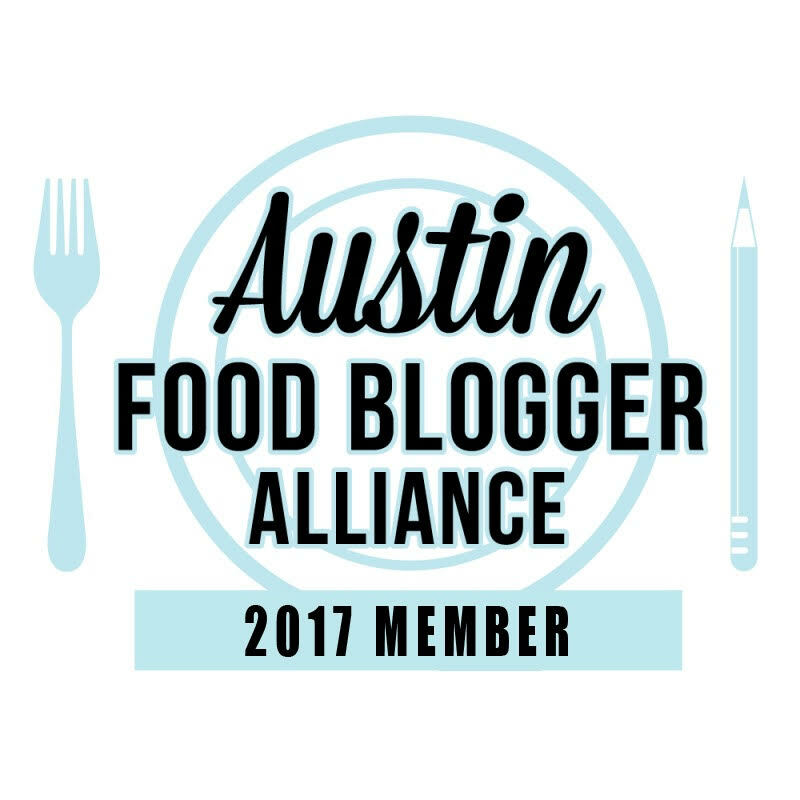 I went in June (blog post on that trip) and tried a lot of different foods. I just forgot to post them here. My first stop was at Fresh-a-Peel in Downtown Disney. 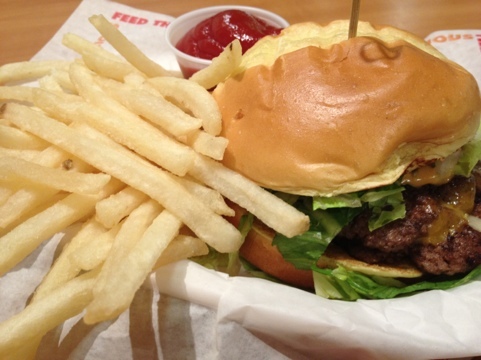 After a long day of traveling and barely eating all day, I just wanted a good juicy burger. I definitely got that here. It wasn’t very expensive and it was a good basic burger. Next it was on to the Candy Cauldron for dessert. Here you can watch them make candy apples. 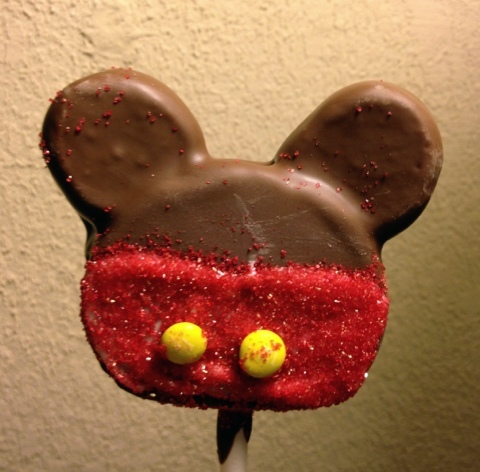 I settled for some candy for the kids and a Mickey Mouse ears cake pop for me. Yummy! The next day I went to Hollywood Studios and had pizza at the Toy Story Pizza Planet. 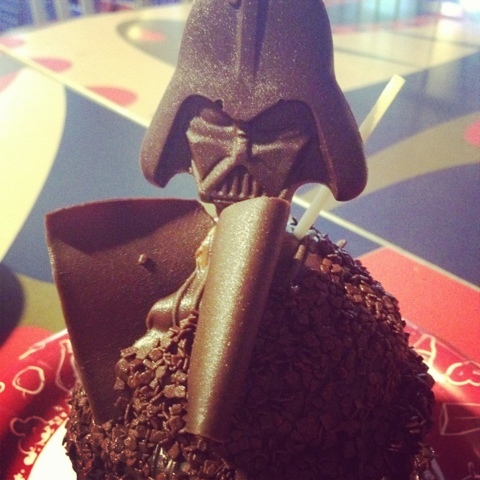 It was your standard pizza but the Darth Vadar cupcake they had was out of this world. Chocolate and peanut butter = the best match ever. Then it was off to Epcot. This was the first time I was able to go through the world showcase. So much food! And so many places to shop. I was on a short timeframe so I only got to really see a few places. One place I liked was France. 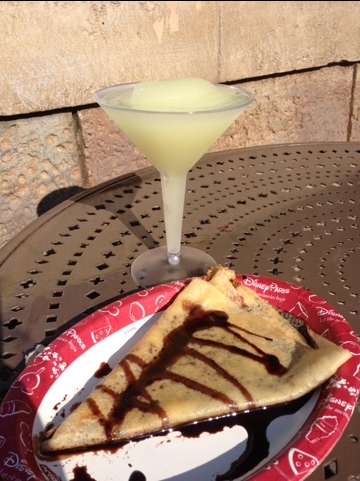 The Grey Goose Citron Lemonade Slush, from the Les Vins de Chefs de France, and the chocolate crepe, from the Crepes des Chefs de France, was worthy of the trip. I sat down and just looked out at everything as I enjoyed the culinary delights of France. The last day before I had to head to my conference was spent at Magic Kingdom. When I saw there was a place that served turkey and dressing, I knew I had to go there. So off I went to the Liberty Tree Tavern. 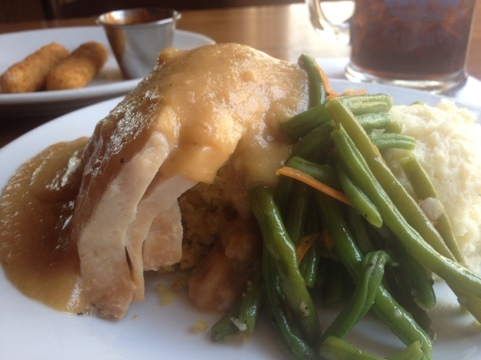 I had the Pilgrims Feast: Traditional roast turkey served with herb bread stuffing, mashed potatoes and a garden vegetable. I’m not going to lie – this was the least liked meal from my entire trip. And probably the one I was looking forward to the most. The food wasn’t even lukewarm and the family next to me had to send most of theirs back because of the same problem. The stuffing tasted like stovetop, which was not a good thing. The turkey was good but nothing special. The conference I attended was at the Gaylord Palms and I was so impressed with the entire experience. And I didn’t even see the pools or any other activities that would normally draw you there. 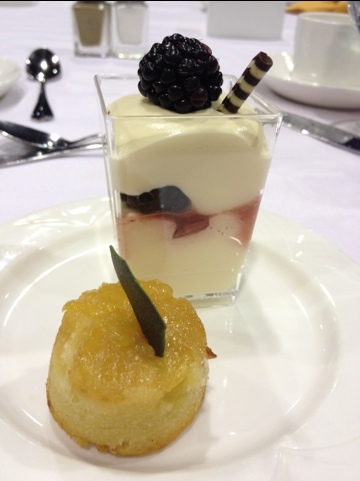 The desserts at lunch each day were very good. 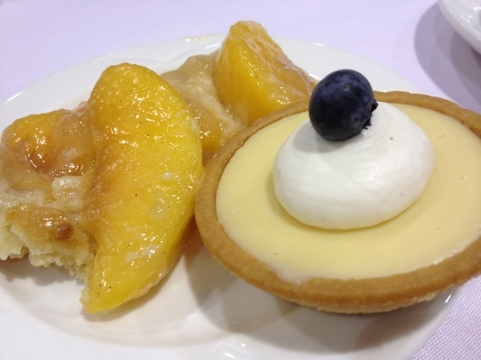 Some peach cobbler, a little key lime pie, a bite of pineapple upside down cake and some sort of custard. Tasty indeed. Another great trip with great food.